The Energy Select Sector SPDR (NYSEArca: XLE) is up a solid though not spectacular 2.7% year-to-date. That is still better than XLE’s showings in 2014 and 2015 when it was the worst performer among the sector SPDR exchange traded funds. 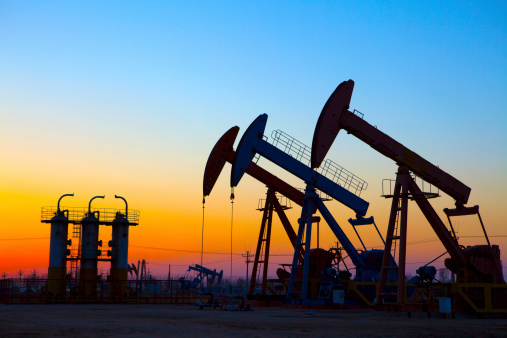 Still, investors remain apprehensive concerning the veracity of oil’s recent rally, a fact confirmed by the recent pullback in futures-based oil exchange traded products. Output remains another source of concern for energy investors and the issue is twofold. First, there has been little in the way of significant output reductions from the world’s major oil-producing nations. Second, even if dramatic output reductions arrive, some energy market observers see the impact as being negligible for energy equities and ETFs like XLE. Even as U.S. shale production remains high and there are few, if any, signs that members of the Organization of Petroleum Exporting Countries (OPEC) are prepared to pare output, some market observers the darkest clouds may have passed the energy sector. Oil started the second quarter on a sour note, declining after Saudi Deputy Crown Prince Mohammed bin Salman stated that the kingdom of Saudi Arabia will not join a program to freeze crude oil output without the participation of Iran and other major producers, reports Mark Shenk for Bloomberg. Moreover, the prince also noted that the country could even raise output if any other country boosts sales. Iran, which is just coming off a years of a sanctions and embargo, has been left out of the oil market and is just beginning to ramp up production for global sale. The Middle East country maintained that it will not contribute to any output freeze until its crude exports hit pre-sanction levels. Investors should realize while some energy ETFs share similarities, most vary greatly from each other. For example, XLE and rival cap-weighted energy ETFs focus heavily on the largest energy names, such as Dow components Exxon Mobil (NYSE: XOM) and Chevron (NYSE: CVX), the two largest U.S. oil companies.